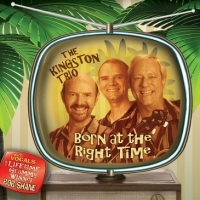 The Kingston Trio, with George Grove, Bill Zorn and Rick Dougherty, had been wanting to record a CD of all new material for a long time. Finally, they decided the time had come. All three members brought in songs, as did Bob Shane, original Kingston Trio founder. Over a several year period, the songs were whittled down; then finally agreed upon. They kept with the Kingston Trio tradition of considering only songs that everyone liked. The recording process started in June of 2011, and the CD was released in March of 2012.